Some spiritual guidance from Mother Gaia during this auspicious time of the year – the Twelve Holy-Days (Dec 24th – Jan 6th). There is a powerful spiritual portal open to us during this time period to help us awaken more, and support us in birthing the New World coming in at this time. 1) Be still as much as you can. 2) Focus on simplicity in your affairs, your parties, your meals, your gifting. 3) Let this be a season of releasing, releasing, releasing, releasing the old ways that no longer serve you or me, Mother Gaia. This is not something that you do overnight, but feel the callings in your soul – body to come back to the Light and Love that is your true essence. 4) Create a list of ways that you can come Home to me more—your Planetary Caretaker, your true Mother here on this Sacred Planet that has loved you so much. Far beyond words is my Love for you! For instance—how can you consume less? How can you wean yourself and your family and community from fossil fuels? How can you Love the trees, the animals and the very food on your plate more? How can you love the very soil microbiota that contributed to growth of the food on your plate? 5) Think about your neighbors and how you might be able to help them out. Everyone is in need in some way. Maybe they just need a hug if they don’t need any gifts. Don’t push yourself on them but perhaps there are ways you can support them even if they are grumpy, unhappy people. 6) Listen within to that Divine Center within you that has many names in many religious traditions. If you can’t hear it, be gentle with yourself and just be still in whatever type of Sacred Place you can create. Candles help to create Sacred Space. 7) Take a break from the monkey-mind chatter from Social Media and go deeper. Allow the distractions to fall away to be still and remember how sacred and powerful you are. 8) Commit to serving the Highest Good for Divine Plan Alignment from that place of stillness. 9) Remember who you are. Who you truly are as beings of such Light and Love, beyond the drama, beyond the illusions, beyond the false Western Mind dreams that are manifesting so much fear and despair. 10) All of you can help shift the growing trauma on me, your Mother Gaia, by gifting me with these precepts above. All of you have hearts that can heal and forgiveness to manifest, and peace to cultivate deeply within. All of you. Tap into the Christ/Buddha/Krishna/White Buffalo Calf Woman Consciousness. Come Home to me … I am yearning for this. I love you so, so, so much! Love and Hope in Intense Times! To say that these are intense times is an understatement. As I am writing this, a second hurricane of “Biblical” proportions is hammering populations within the Caribbean, after Hurricane Harvey devastated Houston and other parts of Texas. Some of the indigenous prophecies call this the Time of Purification. Mother Gaia is going through a rapid transformative shift right now to facilitate the full birth of the New World coming in. This is being facilitated by energies moving through this part of our galaxy and solar system, along with other energetics on the planet. Some call this process the Ascension, as in “ascending energies/spiritual vibrational fields”. However I think that word in some ways connotes rising up energetically while still not acknowledging the existence and heart of Mother Gaia in the center of the planet – and connecting spiritually/energetically with her heart to help manifest this New World. We need both for the Ascension to truly happen. Know that Mother Gaia loves us tremendously, tremendously and is calling us Home. We are not parasites or fleas on her back. We are her beloved children. Yes, she is irritated with how far astray we (the Western Dominant Culture) have come from being in sacred balance and reverence with her, on her, for her. But she still LOVES us. The Purification that is going on needs to happen. This Purification on the physical planes with the weather and tectonic shifting is part of this birthing process. Nothing is ever static anywhere in the universe, not solar systems, stars, continental plates, riverbanks, coastlines, cultural systems, languages, etc. (Mother wants this repeated) — NOTHING IS STATIC. The energies on our Sacred Earth are shifting rather rapidly also. The Purification that is becoming quite evident on the physical planes is also what each of us are being nudged, cajoled, or kicked to bring forth internally within our hearts, our emotional bodies — soul bodies. We need to heal ourselves at the deepest levels, within our body-mind-spirit selves, so that energetically we can begin to hold the spiritual vibration of this New World, 5th Dimensional (plus) way of being. — As above, so below. As outside, so within. — One of my friends posted on Facebook last week: we need to become comfortable living outside of our comfort zones because that is where we are quickly headed. Some are already in that reality such as those in Houston, Barbuda, Key West, Puerto Rico, India, the West Coast fire zones, Chile … the list is long and growing longer. We are being called to remember that we are beings of LOVE. Beings of LIGHT. We simply have to remember and heal back into those states of Being. To live from our hearts more, our Higher Selves, and less from the intellectual mind place. To heal the woundedness, sorrow, shame, guilt, anger, hurt and more of those lower vibrational emotional places that keep us spinning in Victim space, and worse. We are going through a Birthing Canal of intensity from outside forces and within ourselves. And we just don’t have the choice of going back to the Old Ways. A mother in the process of birthing her baby cannot allow the baby to crawl back inside if the baby is in pain or terrified of the how tight that Birth Canal is. There are ancient aspects of ourselves within our DNA and in our ancestral memories that we are being called to tap NOW to reawaken the Wisdom, the Compassion, the deep knowing of what “Community” means so that the needs of all are met. All humans, all species, all beings – all of our needs shall be met. It’s time to Re-Awaken those aspects of ourselves and also Open Ourselves up to the New Energies surging forward that have not been experienced on this planet ever. LOVING Ourselves, Self-Compassion for ourselves and others is paramount. Forgiveness, forgiveness, forgiveness, forgiveness. For ourselves and all around us is key. Healing our Shadow. Loving up our wounded Inner Child. These are all necessary for our shifting into our true beings of Love and Light. Focusing on Our Basic Human needs (healthy food, clean water, clothing and simple shelter) and meeting those in a sustainable, healthy, balance way is the only path for the future, in truth. — Case in Point: If those in Houston and the decision-making halls of Houston and DC were tapped into a greater wisdom, they would rebuild the city infrastructure and all the homes from the standpoint of what is healthiest for all species for the next 7 Generations, plus. No more chemical plants. No more oil refineries. Simple homes. Minimize the impervious surfaces. Put in major bike lanes everywhere (showers at work). More. Mother Gaia is saying: ENOUGH ALREADY! Come HOME to me. I LOVE you and am your true Mother! You are born from my minerals, my waters, my beloved plants and animals. You actually don’t have a choice here since I cannot tolerate, nor do all the spiritual councils of nature spirits, ancestors and others on the spirit plane tolerate how unconscious your global society has become. — AND we are all seeds of this New World! All of us. Our personal choice is how pro-actively we gestate this seed within ourselves and collectively within our communities to begin to live the New World already – in our thoughts, actions (sustainable living, community focused), and words. — Some have already been germinating this seed in advance and are the visionaries and ones to learn from. — But we are all unique beings of Divine Love, and we each are being called to manifest it as our souls guide us along this path of manifesting the New World. — The other option is to resist more. Tuck into the six pack of beer and numb out on Cable TV instead again. Freak out about the News and go even more Numb. Every state of FEAR or Numb-Out is a doorway to potential healing though. Every emotional freak-out or numb-out is an invitation to be held and hugged and healing energies brought forward to remind ourselves that we are not alone, we are in community and we can weave our energies together, our hearts and our creative minds to be pro-active seeds of HOPE and LOVE, for this New World. There is an energetic global web of love, healing, and hope weaving powerfully right now and we are all invited to join in with our soul-strand to others soul-strands make it tighter and more beautiful and powerful. The Age of Separation is OVER. We are now in the Age of Oneness and are being asked to truly shift into this NOW. Mother wants us to deeply, deeply know also, that there are many, many beautiful and powerful ones on the Spirit planes here to support us in this Purification and Birthing. Call on them! They want to help us hugely! 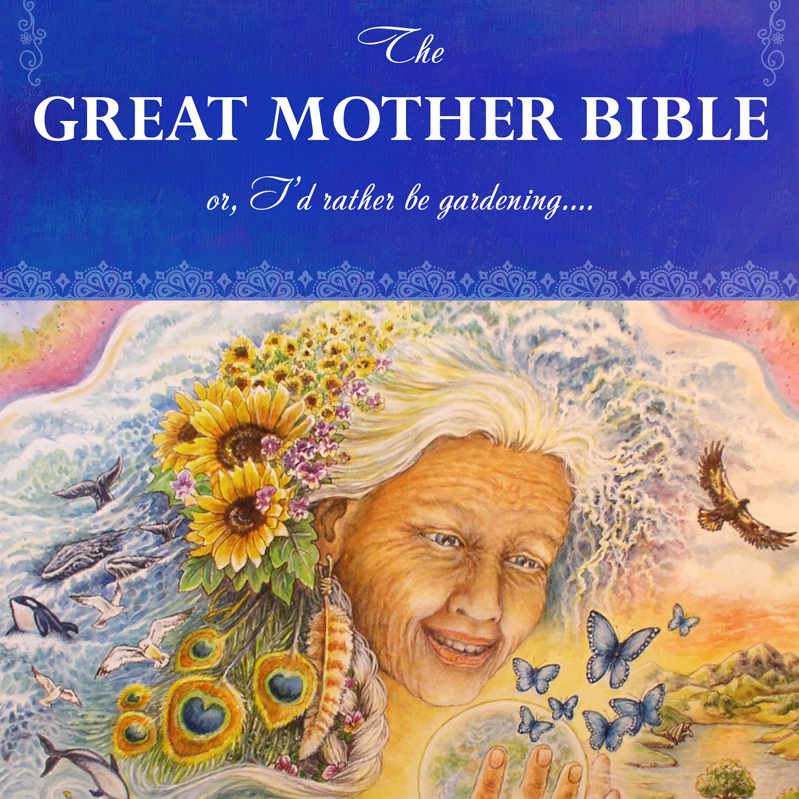 — They include: Creator/Great Mystery, Creatrix/Goddess of the Universe/Great Divine Mother, the Christ Consciousness, Virgin Mary, Mary Magdalene, Archangel Michael, Archangel Gabriel (all the Archangels), Kuan Yin, the Buddhist Taras, Oshun, Mother Gaia!, our Ancestors serving the Highest Good, Freya, Thor… the list goes on and on. Every belief system has their Gods and Goddesses to tap. Call on them! — They can give us strength and spiritual support in ways that are beyond words as we heal into the Love, Hope, co-creative shifting, healing, rebuilding and transitioning into this New World. — We are surrounded by Quantum Divine Love – ALL THE TIME. We are that Love too! We have just forgotten. NOW is the time to remember. Now… ! — You are a seed for the New World. Now is the time for you to truly cultivate your SEED-Self! There is a beautiful, amazing future ahead and we are all on the team to manifest it! Ah… recorded from my bed this morning. Yes, you even get to see my nightgown. Mother has me working hard these days. Oh, yeah. And I’m not the only one working hard these days to support the Ascension, the New World coming in. There are many of us… a humbling job, to say the least. Now, please pass the chocolate and I need a nap.